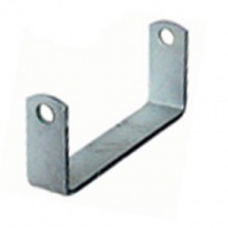 4" Boat Trailer Bracket - Galvanised Suits 4" Rollers with 17mm Bore. ..
4.5 " Boat Trailer Bracket - Galvanised Suits 4 1/2" rollers with 17mm Bore ..
6" Boat trailer Bracket - Galvanised Suits 6" rollers with 17mm bore. 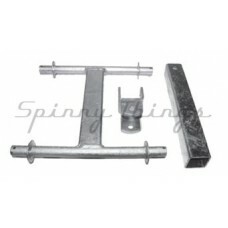 ..
8" Boat Trailer Bracket - Galvanised Suits 8" rollers with 17mm bore. 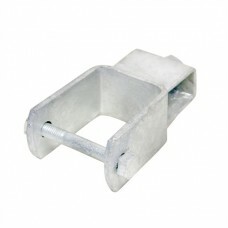 ..
12" Boat Trailer Bracket - Galvanised Suits 12" rollers with 26mm bore. 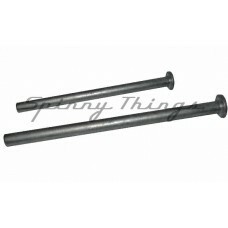 ..
3" Roller Spindle - Galvanised 110mm Long, suits 3" roller with 17mm bore. ..
4" Roller Spindle - Galvanised 130mm Long, suits 4" roller with 17mm bore ..
4.5" Roller Spindle - Galvanised 145mm Long, suits 4.5" roller with 17mm bore ..
6" Roller Spindle - Galvanised 180mm Long, suits 6" roller with 17mm bore ..
8" Roller Spindle - Galvanised 235mm long, suits 8" roller with 17mm bore ..
8" Roller Spindle - Galvanised 235mm Long, suits 8" roller with 20mm bore. ..
12" Roller Spindle - Galvanised 340mm Long, suits 12" roller with 20mm bore ..
12" Roller Spindle - Galvanised 340mm Long, suits 12" roller with 25mm bore ..
Quad Wobble Roller Assembly - Galvanised Quad wobble roller bracket, 40mm stem, U Bolt type include..
Galvanised Boat Trailer Bracket Suit 50mm x 50mm SHS ..